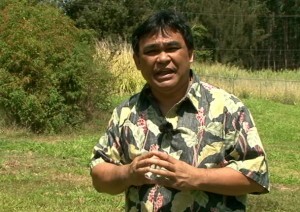 Hamakua councilmember Dominic Yagong, took a group of farmers - and media - on a site visit to the latest plot of the county owned land to be made available. 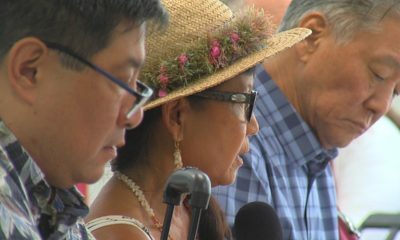 PAAUILO, Hawaii: An historic step for food security on Hawaii Island was taken on Thursday. 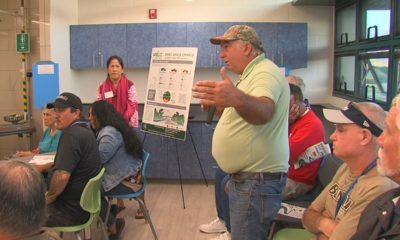 Hawaii County Council Chair and Hamakua district councilmember Dominic Yagong, took a group of farmers – and media – on a site visit to the latest plot of the county owned land to be made available. Yagong sold the finer points of the Hamakua lands: deep soil, lots of rain, plenty of sun. These 15 acres, part of a 1,040 acre parcel, will be used to produce food to give to the Hawaii Island Food Basket. Yagong says the need is great. 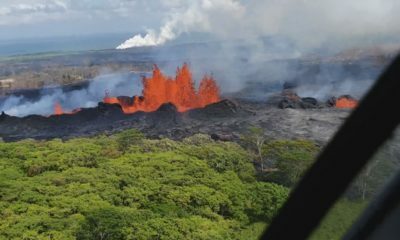 Earlier this month, the Hawaii County Council voted to declare a Food Emergency on Hawaii Island. And a few weeks later, the council unanimously passed another resolution… that will eventually lead to a non-profit using the land to grow crops for the Food Basket. On Thursday, Yagong explained the four components of the project during the visit to the site. The first: Growing food, but also educating the public, making use of cattle ranching, and accepting the help of hunters. Natural Farmer Drake Wienert said similar, but much smaller, efforts in Downtown Hilo have yeilded great results. If Lets Grow Hilo can be such a success, what can be done with a much larger plot of land? Lanakila Mangauil, who was in attendance, said education is already a big part of his work at the Honokaa school garden. This particular land was set aside for a Public Works baseyard in 2008… the only progress made on the baseyard is this fence. We note that Yagong is a candidate for mayor in the upcoming election, challenging incumbent mayor Billy Kenoi for the county’s top executive position. And the situation surrounding the fate of these lands has often been a political issue. 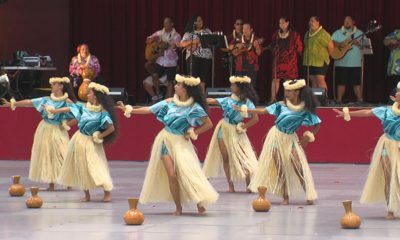 In 2009, the mayor proposed to balance the budget by selling the county owned Hamakua lands… and the council voted to approve the plan to sell. There were no interested buyers, and the lands were taken off the market. 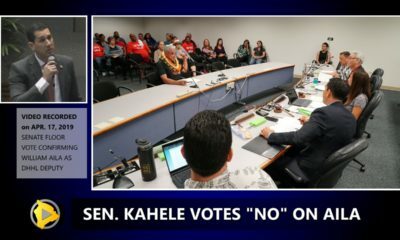 However, before the attempted land sale, the mayor voluntarily took a large portion of the Kapulena land and set it aside for a huge community agriculture project, said to be the largest in the state. Last year, Yagong was able to pass a resolution through the council to lease the lands in Paauilo for agricultural use… local farmers and ranchers put in their bids, although the outcome left some of the hopeful tenants dejected. A biofuel company called “All Cool Fuel, LLC” won the rights to lease all the parcels. On Thursday, the councilman had some good news for some of those folks who appeared to be shut out by the prospective biofuel company. Yagong said the hopeful biofuel company does not plan on leasing all 16 parcels it bid on. That means the next highest bidder on that parcel will get a chance to lease, instead. Now the attention turn to the next plot of land, and Yagong thanked the people of Hamakua for raising their voice in support of the effort. A RESOLUTION URGING THE MAYOR TO ISSUE A REQUEST FOR PROPOSALS FOR A NONPROFIT ORGANIZATION TO GROW FOOD CROPS AND EXPLORE OTHER FOOD PRODUCTION ACTIVITIES ON COUNTY LANDS SITUATED IN PA`AUILO (PORTION OF TAX MAP KEY 4- 2- 5: 005) TO PROVIDE FREE FOOD TO THE FOOD BASKET INC. AND ITS AFFILIATES THAT FEED THE HUNGRY. BE IT RESOLVED BY THE COUNCIL OF THE COUNTY OF HAWAII that the Mayor is urged to issue a request for proposals to utilize the portion of TMK 4- 2- 5: 005, consisting of approximately 14. 9 acres, which has already been fenced by the County to allow a nonprofit entity to grow fresh produce and to educate interested residents on how to grow their own food from sources such as backyard or community gardens. BE IT FURTHER RESOLVED that partnerships with local hunters be explored to provide that smoke houses be erected to allow the hunters to process wild game and contribute to the Food Basket Inc. and its affiliates. 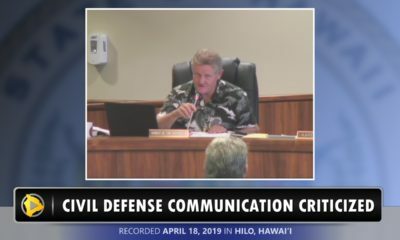 BE IT FINALLY RESOLVED that the Clerk of the County of Hawai`i shall transmit copies of this resolution to the Mayor of the County of Hawai`i and the Director Finance.